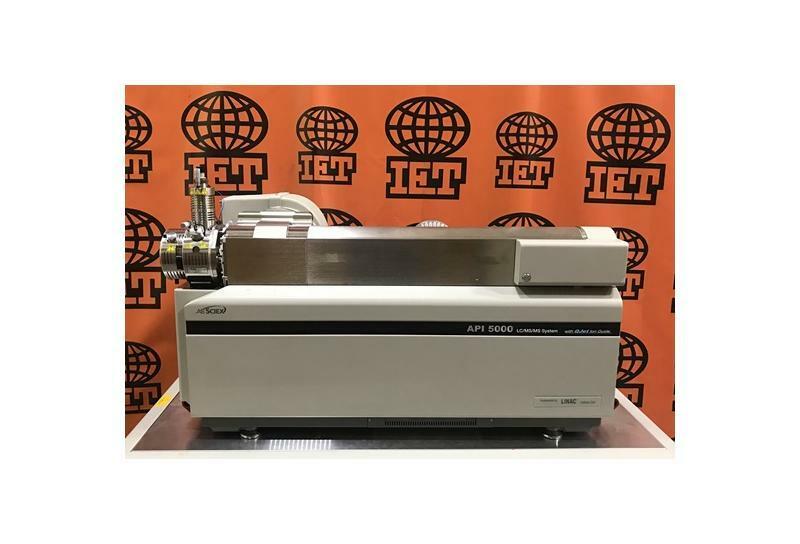 Refurbished AB Sciex API 5000 LC/MS/MS complete with (2) vacuum pumps, Turbo V-source with ESI probe (p/n 1017167) and Analyst PC workstation. Pictured with Agilent 1200 UHPLC. Please ask about HPLC and UHPLC options. OPTIONAL: APCI probe (p/n 1017166). The API 5000 LC/MS/MS System is a sensitive triple quadrupole mass spectrometer for small molecule analysis. 106 cps (pulse counting) Mass Range: m/z 5 - 1250. Mass Accuracy (with internal reference): 0.01% over the entire mass range. Leasing and rental options available. Please contact us for complete used/refurbished ABI 5000 system details.